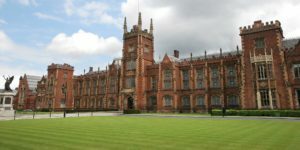 InteRRaCt lab was established in July 2017 and it is based in the School of Psychology at Queen’s University Belfast, where the director Dr. Kostas A. Papageorgiou, is a Lecturer since September 2016. We actively collaborate with academics, who are based in several universities in the UK and around the world and we are always looking to expand our network! So do InteRRaCt with us, if you are interested in collaborative research, a research visit to the lab or in working with us to organise a research-related activity (e.g. a seminar, a workshop or a conference).